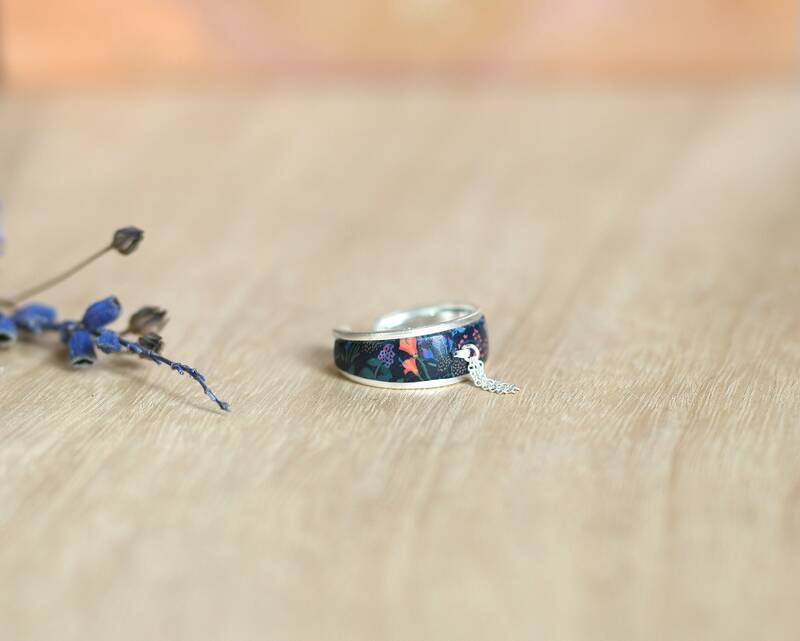 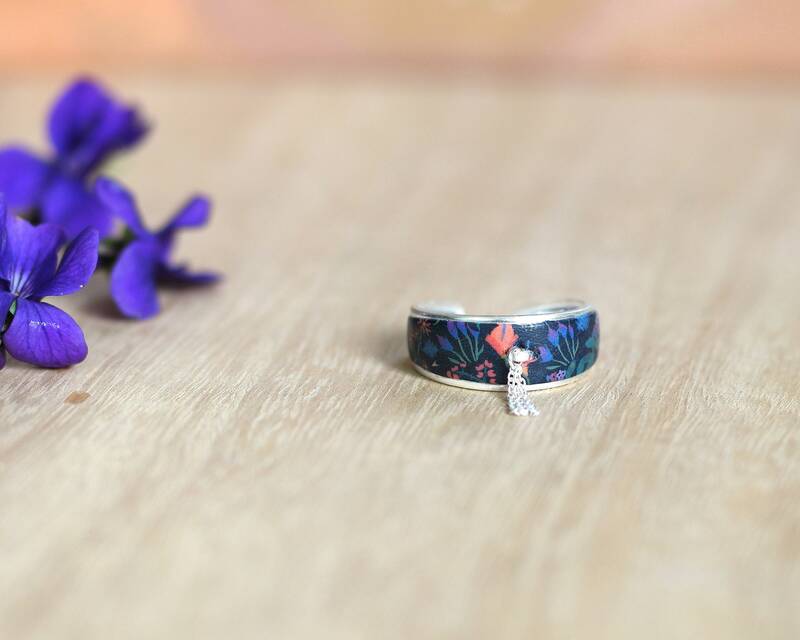 A small original and elegant ring made from an adjustable 925 sterling silver ring wrapped with purple, orange and green floral on black background, in the spirit of a textile jewelry. 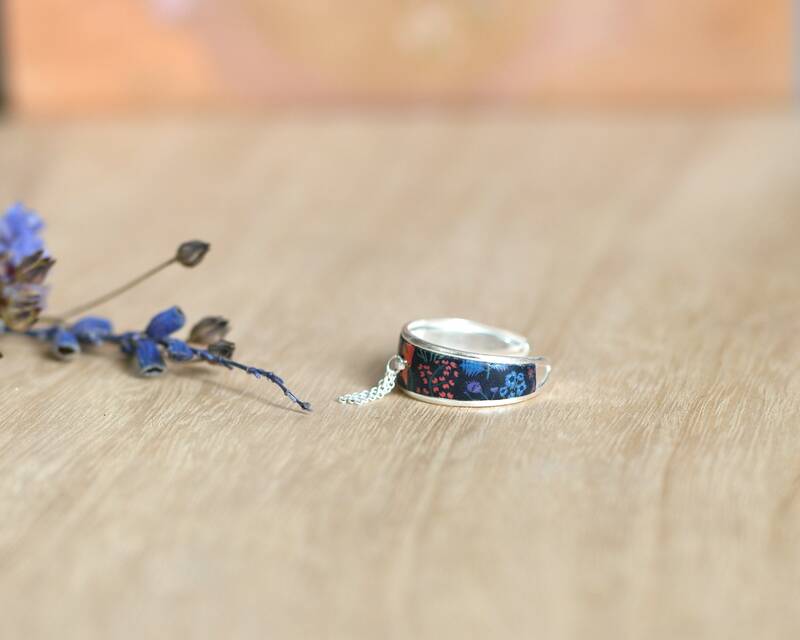 In the Center, a 925 Silver tassel just tickle your finger. 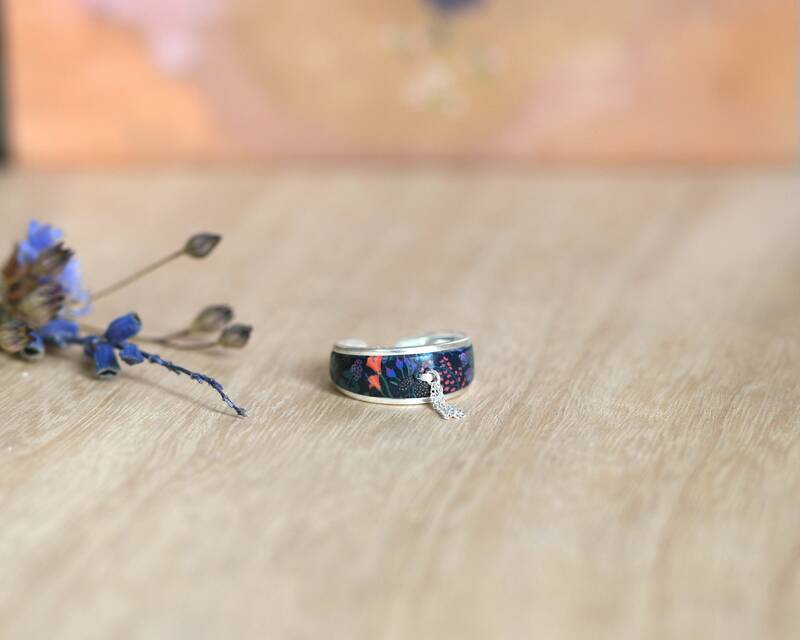 This floral pattern on the ring is entirely handmade by me in polymer clay molded in mass and worked with care as a thin layer of fabric. 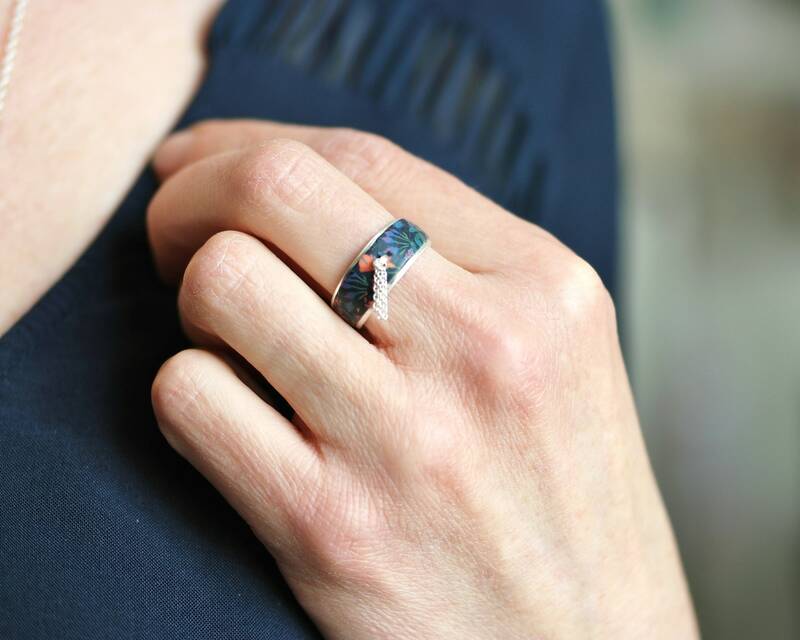 The pattern is worked delicately on the ring and after firing, is sanded and varnished. 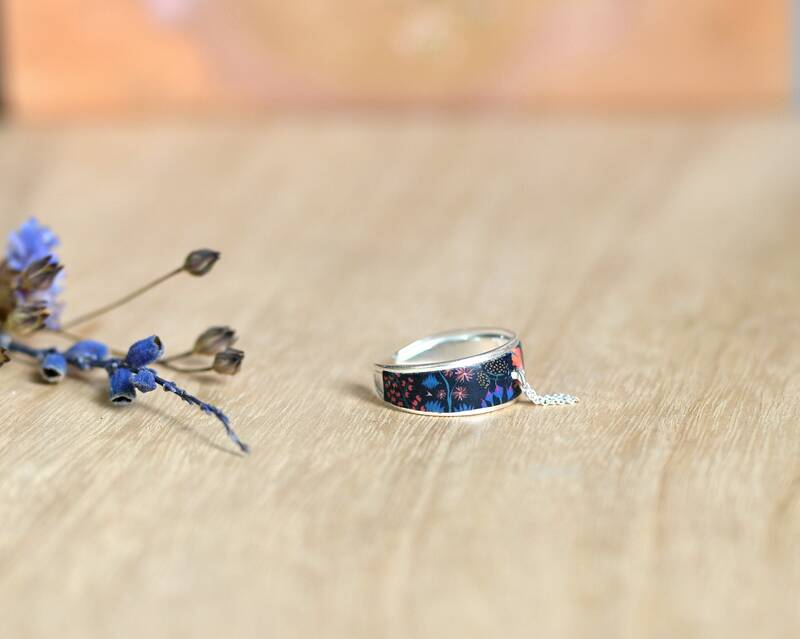 Each ring is unique, the position of the patterns being slightly differently for each piece.